Valletta – a community in its death throes? As smaller businesses make way for a parade of homogenous bars, and the original community continues to dwindle, Ramona Depares asks whether the soul of our capital city has been sold off together with the development permits. In December 2016, when the drive towards creating new business opportunities in Malta’s capital showed every sign of steady increase, a government strategy was launched to ensure that Valletta retained the image and identity that had made it deserving of the much-coveted UNESCO World Heritage title. St Ursola Street, October 1995. The strategy was intended to kickstart a process of social regeneration that would encourage people to live in Valletta. But, as the centre of the city continues to be taken over by a parade of homogenous bars and restaurants, residents are complaining that two years down the line the strategy has failed in achieving its goal, and that the community spirit is being eradicated. It is difficult to fault the naysayers. Writing as someone who has lived both sides of the coin – I was born and raised in Valletta and, to a limited extent, I also appreciate the new life the last decade brought with it – the outcome of the so-called ‘regeneration’ is both obvious and inevitable. Valletta appears to be on a fast-track to becoming a cold and soulless city, populated only by revellers and an ever-changing parade of anonymous residents. And, although the influx of new residents includes a small number of young families, these have very little opportunities to bond with the original community of Beltin that is dying out fast. Even the shortest chat with a few of the original families is likely to yield a refrain repeated across the corners of the city. From l-Arċipierku across to il-Kamrata, id-Diju Balli, Puturjal and il-Mandraġġ, the few remaining resident families are likely to disagree on everything, from which political candidate they support to which patron saint’s xalata to attend. But, on one point, they will nod in agreement: the Beltin are no longer wanted in their own city. This is a point that Holger Camilleri, 33 years old and hailing from one of the original families of Valletta, has discussed at length with friends and family. He has seen Valletta change to a more commercial city over the last three decades, and believes that this has been achieved at the expense of “kicking aside its soul – the residential part”. “We expect evolution to take us to a better place from all aspects, but in Valletta it started and stopped with the commercial side. We have not seen it happen from a residential perspective. Business owners and developers need to keep in mind the families that kept the heart of Valletta beating through the years,” he says. This lack of respect towards the original communities is a story that has repeated itself across many cities across Europe. In London, residents of Shoreditch, Hackney and Brixton found themselves priced out of their homes during a regeneration process that took place between 2004 and 2015. Today, these areas are major tourist hubs. But, while they are no longer classed among the poorest areas in London, the flipside is that local residents and traders have been pushed out of their homes and communities. “I do believe that the intentions behind the changes are good, but there needs to be a properly enforced plan to conserve the character of the city. If residents were to be consulted, the change will be for the better, as it will touch the soul of the city. Valletta is made by its people,” Mr Camilleri concludes. 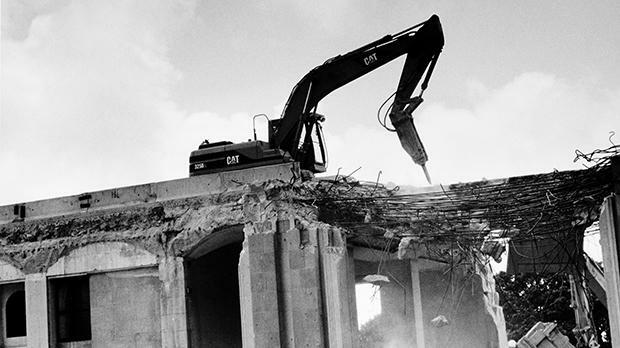 Artist James Vella Clark is another Belti who concedes he has witnessed a number of positive developments – he mentions the restoration of buildings, the rediscovery of the city and the influx of new people. But he remains also wary about the commercial aspect gaining the upper hand when it comes to prioritising strategies. “There is a renewed sense of pride among the newer generation of residents. But this constantly clashes with the many business interests. There is no balance between the needs of the residents and the influx of so many cars, businesses, tourists and leisure seekers. “Valletta’s needs are unique, because it is the administrative city and it’s the heart of tourism activity. Residents have to co-exist with all this. There are moments when I feel too stifled. Valletta has been reduced to a cash cow,” he laments. And, while he does not believe that the community of people is dying, he does feel that the community spirit is dying. “The demographics have changed so much, in such a short span of time within a confined locality. The culture clash between the old community and the newer one is even more evident now. When such a cultural divide exists, it is very difficult to aspire to a sense of unified community,”Mr Vella Clark says, adding that although all localities experience this in some way, in a small community such as Valletta this is more evident. Much like everyone I speak to, photographer David Pisani – who is currently exhibiting a collection of 192 works that make up a visual documentation of the city – recognises the need of a living city to evolve. But, he says, this should not be at the expense of the community that lies at its heart. “Change in any city is both inevitable and desireable. 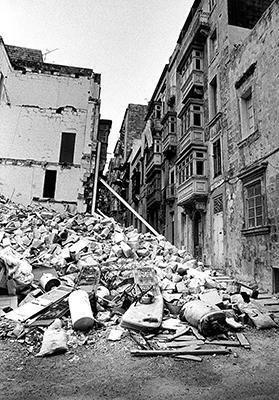 In the case of Valletta, the infrastructure was crumbling and the residents were slowly leaving. This was the point where a surge of restoration projects began,” he points out. However, he believes that not enough was done to stop residents from leaving. “For me, the biggest change was in the demography, not in the buildings themselves. Today, Valletta is alive and buzzing, but nobody seems to actually live in the city,” he claims. Mr Pisani’s love affair with the city is a long-standing one. 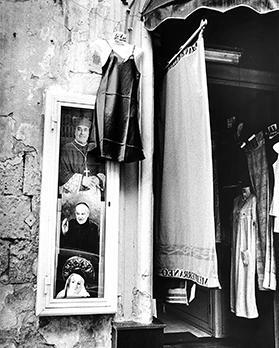 He started taking photos in Valletta in 1982, aged 17. At the time, he had no idea that the project would grow into an extended photo essay. “I just loved being in Valletta and roaming through the streets. Despite the fact that Valletta wasn’t looking its best, I found it very beautiful, even in the decay,” he reminisces. 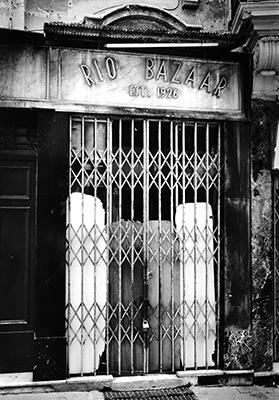 It was to be a lengthy documentation process, with the photographer spending a lot of time in the bars on what he calls “the lower, less reputable parts of Valletta”. It was this bond with the city that gave birth to what, at first, was an unstructured journey, the only wish of the photographer being to record what he was living at the time. In time, the journey developed its own path towards documentation in an organic manner, and Mr Pisani found his natural inclination taking him to particular areas within the city. “The works focus particularly on the socially deprived areas. Yes, they were socially difficult areas but they were alive,” he tells me. This was at a time when the drive towards regeneration had not yet started, and theatre-goers would have been very hard pressed to find somewhere to have a bite once the clock hit 9.30pm. It was also a time when outsiders would claim that the capital city was empty after dark, a claim that anyone with inside knowledge of the local community is fast to rebut. As a teenager growing up in Valletta, I would certainly have been greeted by very confused looks had I tried to hunt for an Aperol Spritz – today ubiquitously advertised outside every single bar and restaurant. But the local communities that congregated in the tiny corner shops, selling cheap shots of whisky and fortified glasses of tea, were there if you knew where to look for them. This is also Mr Pisani’s experience of the city: “People who claimed that Valletta was dead at night never ventured further down than Pjazza Reġina. It was very alive, even if not in the best of ways. If ever there was an identity, it was with the Beltin,” he says. Most of the locations photographed by Mr Pisani do not exist anymore, or have been renovated beyond recognition. 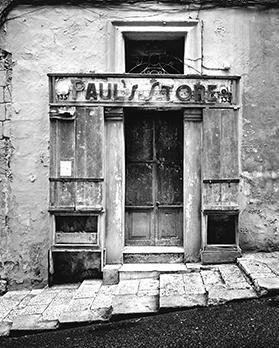 Meantime, the result of his photographic documentation is currently showing at Spazju Kreattiv under the title Vanishing Valletta. Part of the collection was originally shown in Paris back in 1996; the feedback it garnered inspired him to take a more systematic approach in order to grow the collection. Since then, Vanishing Valletta has been shown in several art institutions overseas, while in France it forms part of the permanent collections of the Bibliotheque Nationale de France. “I wanted to show this collection in Malta because I felt that Valletta deserved to see it. However, so far there is no museum or art institution in Malta that owns a part of this collection,” he adds. Small consolation though it is, the Beltin can take comfort in the knowledge that the soul of their disappearing city lives on in a museum in France.